The final episode of the “Oprah Winfrey Show” will air May 25, which reminded us of an image we had seen in our photograph collection of Oprah visiting Rush. In May 1989, Winfrey dropped by Rush-Presbyterian-St. Luke’s Medical Center to film a cesarean section for her show. Here she is posing with Alberta Wells of Rush’s Pediatrics Intensive Care Unit. 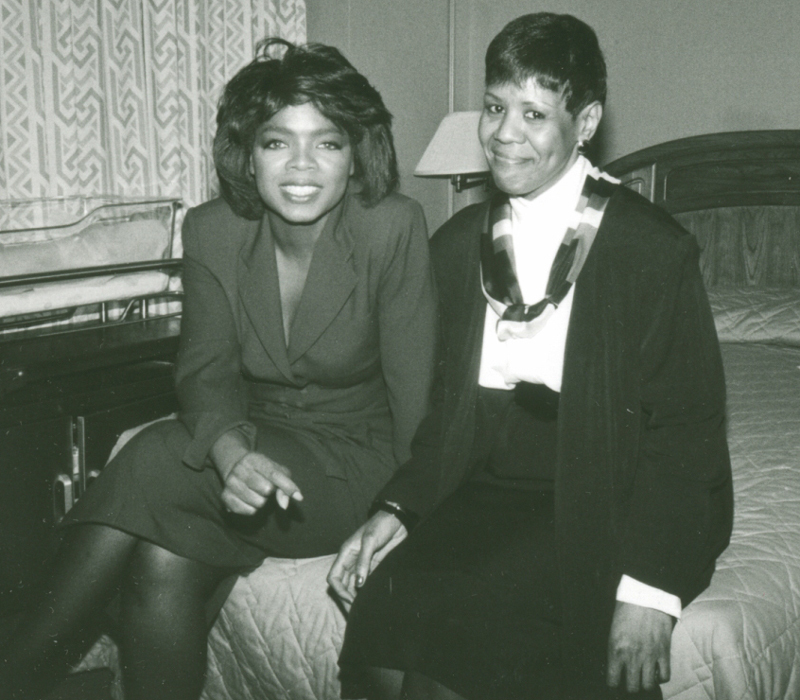 Do you know more about this photo and Oprah’s visit? The Rush Archives would love to hear about it! Nathalie Wheaton, MSLS, is assistant archivist for the Rush University Medical Center Archives. Do you have a question about Rush’s history? Contact the Rush Archives at (312) 942-7214 or rush_archives@rush.edu. This entry was posted in Children, Rush Archives and tagged Oprah Winfrey. Bookmark the permalink.